Many small business owners ask me for a quick list of the top social media sites they should consider for promoting their business. Since managing social media sites for them is more of a time commitment than a financial investment, they are interested in the best “click of the clock” so to speak. My first piece of advice is to have them discover where their customers appear online and then follow them there! If they don’t know, they can find out by simply asking their current customers. Discovering where their top competitors are appearing on the web is another great source of information. As a quick starting point I recommend exploring these top social sites, local directories, and review sites for expanding a small business online presence. Top social media sites for many businesses: These social media sites were selected due to the sheer number of people using them as well as the unique opportunities each present. Facebook allows a business to remain top of mind to customer who are connected to it, Google + helps with SEO, Linkedin provides professional networking and a good personal business image, Twitter also provides good SEO as well as lead generation and customer connections, Foursquare helps expand your physical store’s reach. Top review sites: These review sites are widely used and should be strongly considered by all business. A Google + Local listing also allows your business to appear on Google Maps. Angie’s List for some businesses is an excellent referral source. Yelp is very popular and also has a social networking approach to reviews that can greatly help an proactive business. Industry specific review sites: Most industries have a review site dedicated to the specific businesses that it represents. Dealer Rater is a prime example. Find the top review sites for your business and get listed. 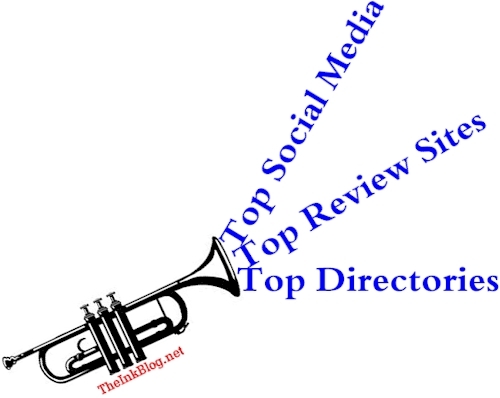 Top review sites that are also local directories: Review sites are widespread and it is critical to know if you are already being reviewed on them. If your business is already being reviewed, “claim” your business on those sites first and optimize the listing. Top Social Bookmarking Sites: These sites are great for cross posting and promoting blog articles and new web pages. This entry was posted in Marketing, Social Media and tagged google maps, marketing, social-media, storefront businesses. Bookmark the permalink. Maybe a little off topic, however, i am trying to increase my sites page ranks for the past six month , but it seems to be hard to increase page rank . i am doing in SEO that social bookmarking, comment posting , directory submission, link exchange and forum. Those all the action am doing . if it is there anything i have to do more to increase page rank of my media site. Mine site is ozeeya.com. it is a tamil media site. Hi! Thanks for the good question. However, it seems your site is currently offline so I can’t offer good advice about increasing page rank. When it comes back online, let me know and I’ll take a look.